Are you using YouTube and Pinterest to promote your online business? If not, then you are missing out on some very easy traffic. 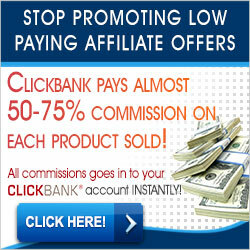 Both of these sites have the ability to deliver thousands of visitors to your site each week. All you have to do is use them correctly. The reason social media sites have become so popular for Internet marketers is because of the viral energy they create. Have you ever gone into YouTube and watched a video — and then noticed that it has had over a million views? It is not uncommon. How does that happen? Well, any time someone uploads a YouTube video onto their Facebook site and someone watches it, that is reported back to YouTube and listed as one view. If the video is entertaining and all of your friends turn around and paste it onto their Facebook pages, and then their friends see it and do the same thing — well, you can see how quickly the effect can explode. Imagine one viewer produces two; two produce four; four produce eight; eight produce sixteen, sixteen produce 32, —- in a matter of no time you are in the hundreds of thousands! You do the math. But what kind of videos get that kind of viral movement? Obviously they have to be videos that are funny, entertaining, newsworthy or shocking. Now imagine you put together a little video about your dog training site using a Windows program. If the video is nothing but slides about how to train a dog, your video is not going to be passed around. But what if you have a video about teaching a dog to dive off a high drive — and he does it! Do you think that might get passed around? How about a cute little puppy who refuses to give back his master’s slipper and keeps running away and trying to hide it? Videos like that can be golden! The same is true of Pinterest, although Pinterest features still photos more than videos (although you can load videos onto Pinterest). These pictures can be seen by millions of people. The viral effect comes when someone sees your picture (called a pin) and repins it to one of their boards. The viral effect can be astounding — and each time the picture is repinned, a link to your site goes along with it! Because most Pinterest users are women, the pins that get repinned the most deal with fashion, recipes, children and entertainers. Also high on the list are decorating tips. If you work in those niches, you can expect a lot of help from Pinterest. But even if you don’t, if you can find one of those subjects and still have it relate to your niche, it work very well. Using Pinterest and YouTube are great ways to get more traffic to your site. More traffic means more sales — so don’t overlook these two great resources.